Not all fruits are created equal. Harvest and enjoy these five flavorful nutritional powerhouses during the long hot days of summer! With summer in full swing, more people are looking for ways to tame the heat. Instead of making a beeline for the ice cream parlor or guzzling sugary iced lattes, why not feast on Mother Nature&apos;s gift of refreshing summer fruit? Do so and you&apos;ll reap the benefits of their health-hiking, physique-chiselling powers. Sadly, many of us need to do much better when it comes to fruit consumption. A new report from the Centers for Disease Control and Prevention suggests that 76 percent of American adults aren&apos;t meeting their daily fruit intake needs of 1.5-2.0 cups each day.3 Buck this trend by loading up on these five best flat-belly summer fruits! Chop up a bunch of pitted tart cherries and combine them with halved cherry tomatoes, diced yellow or orange bell pepper, minced jalapeno pepper, chopped fresh mint, and a couple pinches of salt. Serve this salsa over fish or chicken. 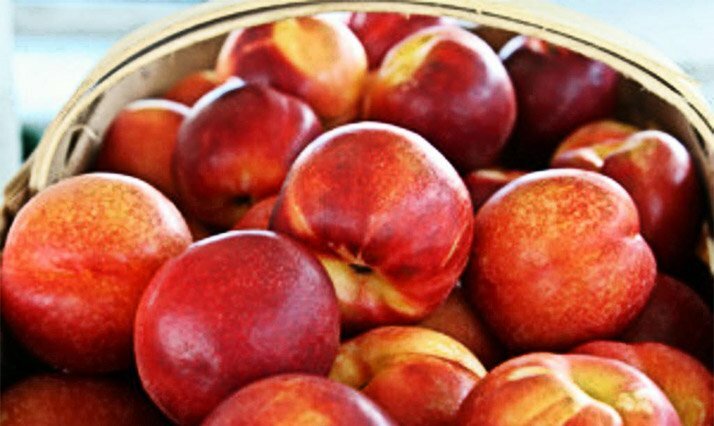 More good news: Scientists at the University of California (Davis) determined that nectarines can pony up notable amounts of disease-fighting antioxidants.8 A nectarine that&apos;s ready to devour will be fragrant, with slight give to the touch. Recharge after a workout by blending together a cup of milk or almond milk, one pitted nectarine, one small chopped frozen banana, half a cup ricotta cheese, two teaspoons of almond butter, and a quarter teaspoon of cinnamon. Consisting of about 90 percent water, this ultrarefreshing fruit is filled to its dimpled skin with liquid to help keep you hydrated when temps begin to soar. Cantaloupe&apos;s impressive nutritional resume includes plenty of vitamin C and beta-carotene. In the body, beta-carotene can be converted to vitamin A, which helps regulate the growth of new skin cells to assure you&apos;re flaunting the best beach body possible. On its own, beta-carotene may have a protective effect against certain forms of cancer and cardiovascular disease.9 As a bonus, cantaloupe supplies healthy amounts of core-carving fiber. Slice a cantaloupe in half, then slice about half an inch off of the bottoms so the halves can sit flat. Scoop out the seeds and stuff the cavities with Greek yogurt. Sprinkle with seeds or chopped nuts. Toss together watermelon cubes with wedges of tomato and sliced cucumber. Blend together some olive oil, basil, red-wine vinegar or lemon juice, and salt. Drizzle the mixture over the watermelon salad and garnish with feta cheese or goat cheese and chopped pistachios. They might be blue, but when it comes to nutrition, there&apos;s nothing sad about these health bombs. For a mere 84 calories per cup, blueberries deliver 4 grams of belly-flattening fiber and a huge payload of anthocyanin antioxidants, chemicals responsible for the deep purple hue of the fruit. Of interest, research suggests that cooking does not result in a significant drop in the antioxidant power of blueberries.14 If you can find them and don&apos;t mind the splurge, wild blueberries are especially chock-full of antioxidants. Simmer together two cups blueberries, three tablespoons water, two tablespoons honey, two teaspoons lemon zest, two teaspoons minced fresh ginger, and one teaspoon cinnamon over medium-low heat until the blueberries have broken down. Say hello to your new favorite oatmeal, yogurt, and pancake topping! Bellavia, A., Larsson, S. C., Bottai, M., Wolk, A., & Orsini, N. (2013). Fruit and vegetable consumption and all-cause mortality: a dose-response analysis. The American Journal of Clinical Nutrition, 98(2), 454-459. Rautiainen, S., Wang, L., Lee, I. M., Manson, J. E., Buring, J. E., & Sesso, H. D. (2015). Higher Intake of Fruit, but Not Vegetables or Fiber, at Baseline Is Associated with Lower Risk of Becoming Overweight or Obese in Middle-Aged and Older Women of Normal BMI at Baseline. The Journal of Nutrition, 145(5), 960-968. Moore, L. V., & Thompson, F. E. (2015). Adults Meeting Fruit and Vegetable Intake Recommendations—United States, 2013. MMWR. Morbidity and Mortality Weekly Report, 64(26), 709. Sumners, D. P., Dyer, A., Fox, P., Mileva, K. N., & Bowtell, J. (2011). Montmorency cherry juice reduces muscle damage caused by intensive strength exercise. Medicine and Science in Sports and Exercise, 43(8), 1544-1551. Bell, P. G., Walshe, I. H., Davison, G. W., Stevenson, E. J., & Howatson, G. (2014). Recovery facilitation with Montmorency cherries following high-intensity, metabolically challenging exercise. Applied Physiology, Nutrition, and Metabolism, 40(4), 414-423. Johnston, C. S., Corte, C., & Swan, P. D. (2006). Marginal vitamin C status is associated with reduced fat oxidation during submaximal exercise in young adults. Nutrition and Metabolism (Lond), 3, 35. Van Poppel, G. (1996). Epidemiological evidence for beta-carotene in prevention of cancer and cardiovascular disease. European Journal of Clinical Nutrition, 50, S57-61. Rizwan, M., Rodriguez?Blanco, I., Harbottle, A., Birch?Machin, M. A., Watson, R. E. B., & Rhodes, L. E. (2011). Tomato paste rich in lycopene protects against cutaneous photodamage in humans in vivo: a randomized controlled trial. British Journal of Dermatology, 164(1), 154-162. Hurst, R. D., Wells, R. W., Hurst, S. M., McGhie, T. K., Cooney, J. M., & Jensen, D. J. (2010). 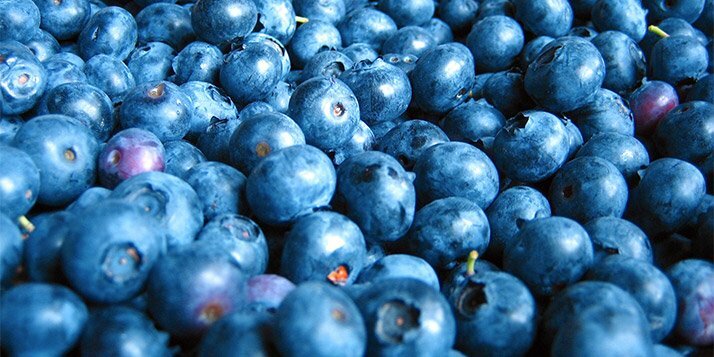 Blueberry fruit polyphenolics suppress oxidative stress?induced skeletal muscle cell damage in vitro. Molecular Nutrition & Food Research, 54(3), 353-363. Gomez-Zorita, S., Fernandez-Quintela, A., Lasa, A., Aguirre, L., Rimando, A.M., and Portillo, M.P. (2014) Pterostilbene, a Dimethyl Ether Derivative of Resveratrol, Reduces Fat Accumulation in Rats Fed an Obesogenic Diet. Journal of Agricultural and Food Chemistry, 62(33), 8371-8378. Murphy, R. R., Renfroe, M. H., Brevard, P. B., Lee, R. E., & Gloeckner, J. W. (2009). Cooking does not decrease hydrophilic antioxidant capacity of wild blueberries. International Journal of Food Sciences and Nutrition, 60(sup2), 88-98.